Ceramic valve core: ceramic environmental protection valve core, durable, diameter 1.18In./30mm ceramic valve core. Full copper nut: full copper thickening nut, easy to install, more solid,corrosion resistant. Stainless steel hose: it's comfortable to touch, not easy to rust, corrosion, high temperature resistance, effective prevention of high temperature burst,mixer tap, apply to most bathroom basin. 100% NO RISK GUARANTEE : We are pround of the quality of our Faucet,If there are any problems about our product or it fails to live up to your expectations .You can cantact us or amazon to get refund or a new replcement.Good gift for your friends and family. Excellent environmental protection 59 # copper: select 59 # refined copper as raw materials, low lead and high copper content, through strict lead washing processing,lead content is lower than the US standard, can effectively prevent secondary pollution, keep water quality health. PVD vacuum plating,corrosion resistance: anti-rust,durable, strict through acid copper, nickel, chromium and other multiple electroplating layer, enhance adhesion of the Faucet's surface, with salt mist test, to ensure the product beautiful. 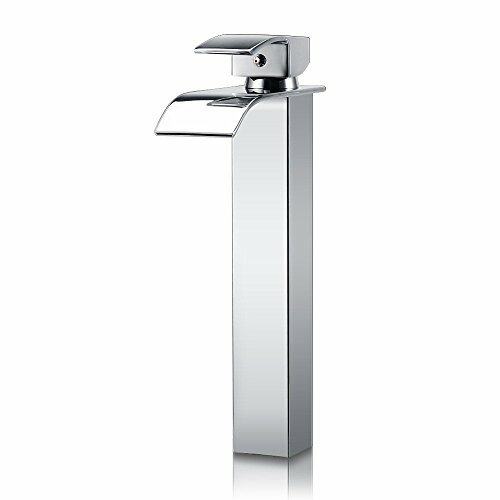 No assembly required, integrally molded, the structure of the item's body is stable: the Faucet design is beautiful.With gravity casting, which can prevent the production's sand holes and air bubbles effectively . Through precision machinery processing and manufacturing, strong and durable. More fashionable handle design, simple and beautiful.And it's in line with public usage, smooth feel. It's easy to switch on/off, square design, classic & good-looking.Curved & flat water outlet,which makes the outflow water more concentrated. If you have any questions about this product by Yontree, contact us by completing and submitting the form below. If you are looking for a specif part number, please include it with your message.